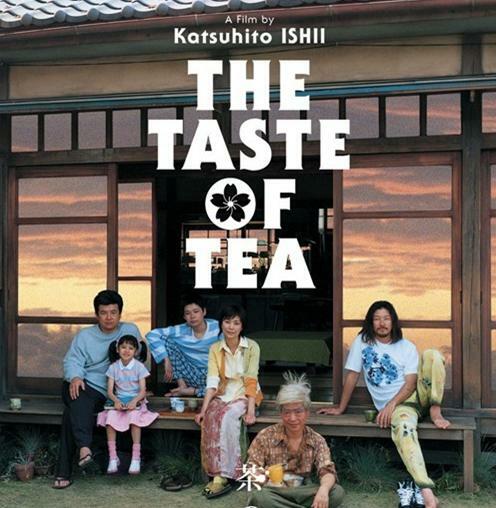 The Taste of Tea is a wonderful little film about a family living in rural Tochigi Prefecture north of Tokyo (about a one hour train ride from Tokyo). One reason I enjoy foreign films is that they tend to break convention. We know there are certain rules to writing a "good script" and making a "good film," for instance we need to know who the main character is early in the film, he needs conflict and we need to see a "call to action" in order to jump start the journey that brings about change in the character. While it's true that if you look for it, this is a guideline that can generally be seen in just about every film ever made, however, foreign films, and sometimes indie films, show us that it's possible to make very enjoyable films that don't adhere to Hollywood's guideline. This film simply allows us into the home of one family for a brief time to witness their daily lives. We see them dealing with their struggles, but there isn't really much conflict going on. We see their fairly mundane day to day activities, and meet other people from their town and we see that life can be pretty interesting for them as well. It isn't a documentary, but it is a drama with some comedy mixed in. Each member of the ensemble (except maybe the dad) is going through something of a trying time but it isn't the sort of heavy drama that we normally expect when going to the theater, it's normal people problems... or at least some of them are... Japanese films, anime, and other stories in general tend to have a supernatural flair to them, at least more so than stories from anywhere else. The problems affecting this family range from trying to get back into work after taking a break to raise a family, to the more "out there" problem of having a giant version of yourself watching you all the time. The mother in the family is the one trying to get back into her work, after raising the kids she is giving her career another shot, this time working from home. She is an anime artist who draws inspiration from the family's quirky grandfather (my favorite character in the film). The son has fallen in love with the new girl at school. The daughter is the one who sees a giant version of herself, and she is convinced that if she can accomplish a back flip that she will rid herself of this unusual problem. Oh to try to see into the world of a child, imaginations are crazy things; when you remember this you should know why a child's problems are so different from everyone else. This is a family drama and yet the thing that sets it apart is that it isn't about them quarreling amongst themselves, they are a happy family throughout the film, they just each have their own issues to sort out. I've mentioned that film is a window into other peoples lives and allows you to see another place and meet different people, this is one of those films where you meet likable people from a different place (unless of course you live in Tochigi). They don't live in a big city and there is a lack of the general hustle and bustle you tend to associate with bigger cities. This is a relaxing view of a relaxing way of life. Fans of Wes anderson will find something to like here. His films always look like places we know and yet there is always something a little bit off about them. It turns out they are almost a different world altogether, and that's significant because we all tend to live in our own little worlds. Where things may not make sense to you in your world, they are perfectly at home in mine. The Taste of Tea shows us a world belonging to other people, making it as much escapism as any big budget fantasy film you might see. The music is nice as well. In keeping with the tone of the film it is slow and relaxing but not boring. If you listen to instrumental music to relax and allow your tension to melt away that is exactly what you'll find in this film. There are some very genuinely funny moments as well. This film is at times very humorous, at other times very bizarre, but it remains very touching throughout. It isn't a very well known film here in the US so it might be harder to find, but if you can get a copy of it you won't regret it.